On Thursday, Jasper Visitor Safety staff 'skiied' the Mike Wynn traverse, South-North. 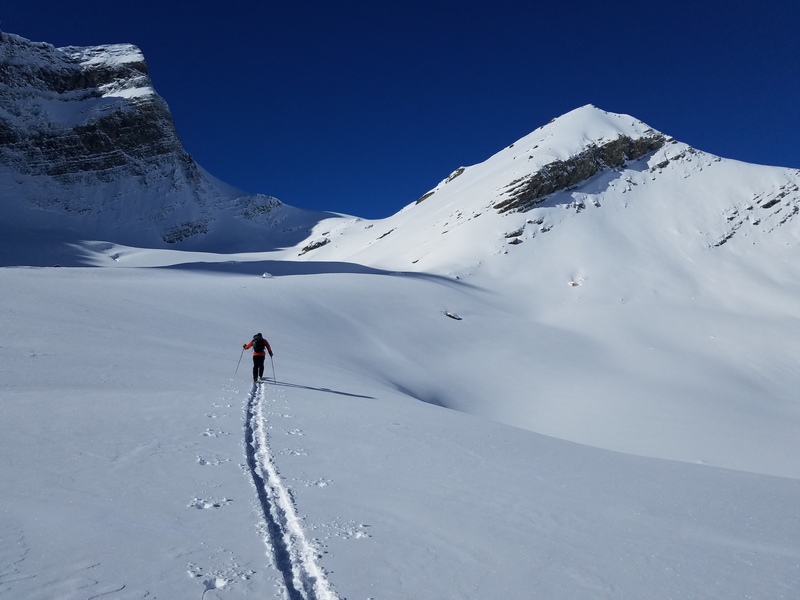 Travel conditions were surprisingly reasonable, after the requisite bushwhack up to treeline, with a relatively deep, supportive snow pack (180cm at treeline Cirrus Side, 280cm+ on the glacier with no crevasses visible, ski pen 15cm). However, the snowpack is thinner and more faceted on the NE portion of the traverse, and trail breaking was slow down Brazeau / Nigel Creek. The basal weakness (soft depth hoar toward the bottom of the snowpack) was easily detected with a ski pole here in many places, and the snowpack was unsupportive in shallow spots. Skiing quality was good, other than variable, grabby old windslab through the crux N facing gully, which is prone to loading from downflowing winds. 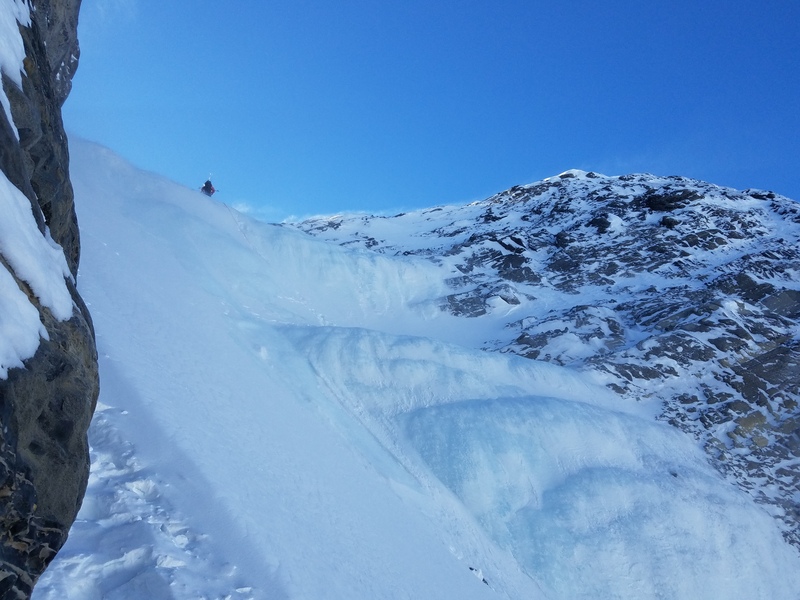 Of note, this descent gully is guarded by a 30m+ step of waterfall ice (WI2), new this year. This adds technical difficulty, and commitment, as the rappel is straight into a steep start zone. 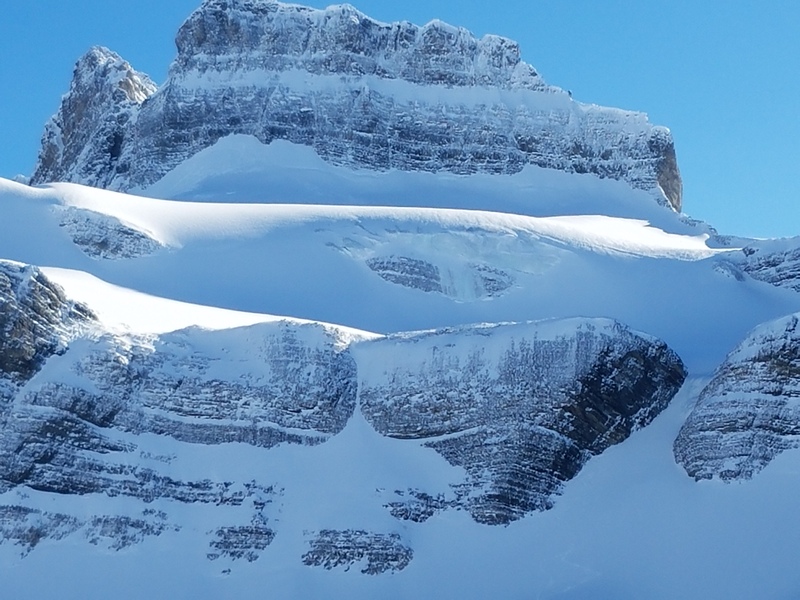 Recommended equipment currently would be 2x 30m or 2x40m ropes, crampons/axes, & adequate equipment for ice anchors. 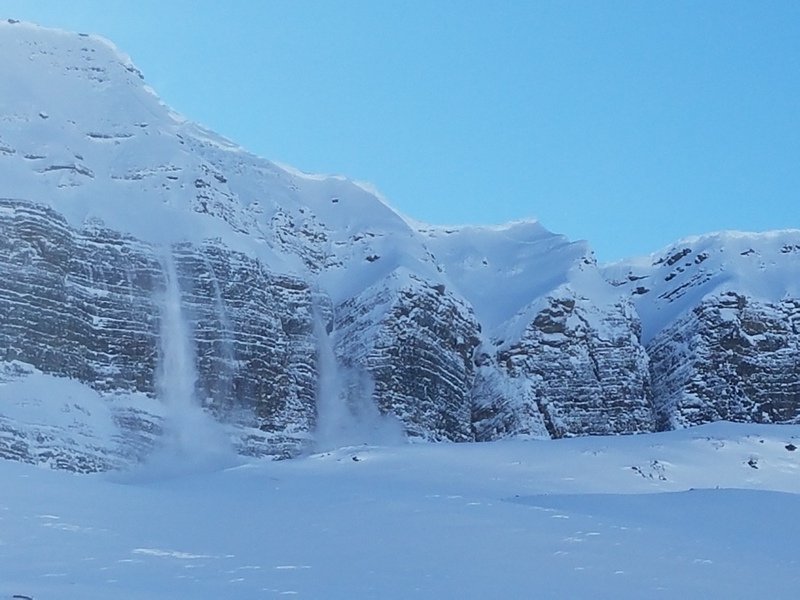 A cornice failure at 2700m on a N aspect was observed late afternoon, which triggered a Sz 1.5 Deep Persistent slab on a small steep slope above cliffs. A similar recent cornice failure nearby had entrained loose dry (no slab in a large slope), growing to size 1.5, and another recent loose dry (Size 1) was evident on a West facing alpine slope. No other signs of instability until approaching the highway on flat ground below treeline near Nigel Creek, where large whoomphs were heard on January 18 surface hoar, down 40cm. This problem is isolated (and most pronounced near valley bottoms), but previous travel on the same trail with no whoomphing suggests that only recently has the overlying snow become cohesive enough to fail on the instability.